This week we’re doing something a little different because we’ve been traveling in Medellin, Colombia. We’ve eaten some amazing foods here, but the best have been Medellin’s own Arepas. You can check out some other yummy South American recipes in our Saludos Amigos and Three Cabelleros post. Arepas are great because you can stuff them with anything. We really like cheese arepas, but you can do chocolate, meat, eggs, anything really. 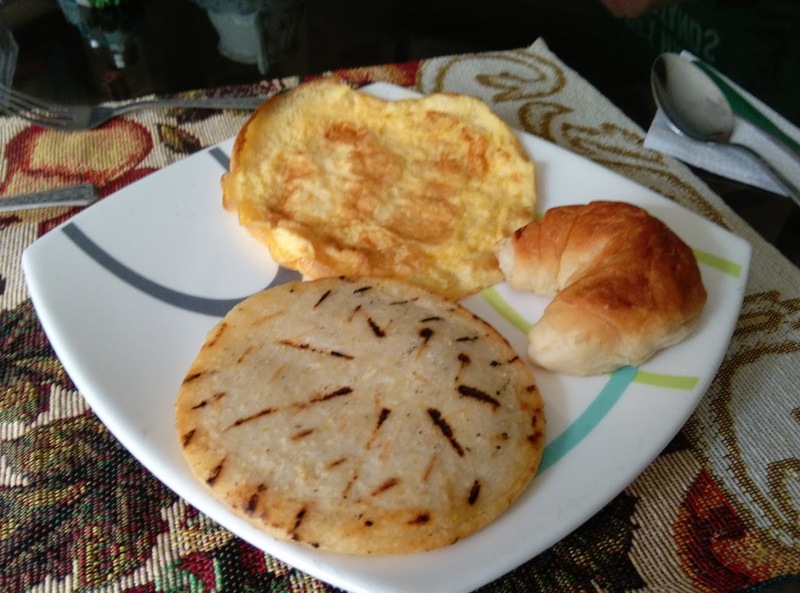 Here’s a basic arepa recipe. Combine the water, cornmeal, 2 tbsp butter and salt, mixing well. Let mixture stand for a few minutes. Add the butter to a nonstick pan over medium heat. Place the arepas in the pan, and cook about 3 minutes on each side, until a crust forms and are golden brown. Will it make you into a Colombiana?